Micronas (SIX Swiss Exchange: MASN), a leading supplier of innovative application-specific IC and sensor system solutions for automotive electronics, announces a major breakthrough in gas sensing technology. Based on Micronas' mySENS platform, this innovative technology rests upon standard CMOS technology which has been utilized and proven in Micronas' current products for automotive and industrial applications for many years. 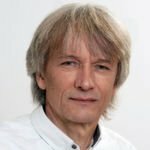 "Leveraging its extensive experience in Hall-effect sensors, Micronas is in an ideal position to use existing know-how for developing new sensor technologies for a broad range of markets and applications," says Peter Zimmermann, Director Marketing at Micronas. "With the mySENS technology we are expanding our sensor expertise towards the field of gas sensing to target industrial as well as automotive applications." Similar to its success story within the Hall-effect sensor market, where Micronas pioneered the CMOS Hall-effect sensor, mySENS technology enables the combination of sensing elements with standard electronic devices such as amplifiers, logic circuits, and memories. Such integration capability will significantly contribute to the miniaturization of existing gas sensing applications and - as a result of its small size - enable completely new applications. Micronas' mySENS technology provides a unique platform for solid-state gas sensors enabling adaptation towards different target gases. Small system size in proven and cost-efficient standard semiconductor mass-manufacturing technology leads to lower system cost through the integration of external components. This is in contrast to existing gas sensing approaches. The mySENS technology allows detection capabilities unmatched by any existing principle, such as selective gas detection at minimal power consumption and reliable detection in combination with a long lifetime. With its superior features, Micronas mySENS technology is well-suited to meet the application requirements of several markets including building technology, automotive, industrial, and healthcare. Prototype testing has already been performed by selected lead customers. A first gas sensor product version is expected to be available within the current year with production volumes ramping up in the second half of 2010. 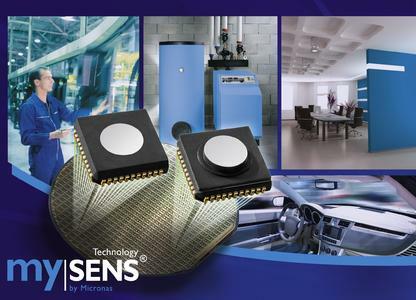 Micronas will showcase its gas sensing technology, mySENS, at the Sensor+Test trade show 2009 in Nuremberg, Germany, from May 26 to 28, booth 12-558 as well as from June 8 to 10, 2009, at the Sensors Expo & Conference in Chicago (booth 915). Micronas today offers the world's broadest range of Hall-effect sensors. The Company pioneered the market in CMOS Hall-effect sensors and was the first to manufacture in CMOS technology. This technology allows integration of the Hall-effect sensing element with standard electronic devices such as amplifiers, logic circuits, and volatile and non-volatile memories. Micronas' expertise in Hall sensors combines perfectly with its CMOS and mixed-signal design resources to create accurate, intelligent sensors for a broad range of applications. The ever-increasing demand for energy-efficient and highly reliable applications means that demand for these smart sensors will continue to grow. Micronas (SIX Swiss Exchange: MASN), a semiconductor designer and manufacturer with worldwide operations, is a leading supplier of cutting-edge IC and sensor system solutions for automotive electronics. 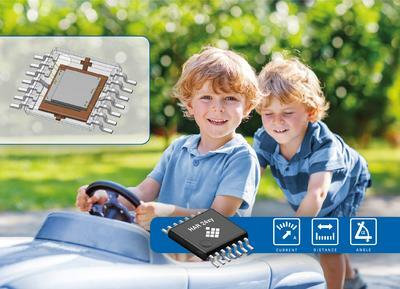 Micronas offers a variety of microcontrollers and Hall sensors for automotive and industrial applications, such as car dashboard, body control, as well as motor management and comfort functions.